Your loved one deserves to live out their twilight years in dignity. You put them into a nursing home because neither you nor anyone else in your family could provide them with the care, treatment, and oversight they need. You had every reason to believe that caring, committed and staffed the nursing home and competent professionals. You now have good reason to suspect that this is not the case, and that your elderly loved one is not being looked after. Nursing home abuse is the intentional or unintentional harming of an elderly person through neglect, violence, or exploitation. It is one of the most under-reported crimes in the country. This owes to the fact that most elderly people are unwilling to tell loved ones about their mistreatment because of the embarrassment it might cause them. Most elderly people have a hard time adjusting to the physical and mental deterioration that comes with their age. That is why it is up to younger members of the family to watch for the signs of abuse and mistreatment in the nursing home. Elder neglect is one of the most common forms of abuse. If every time you visit your loved one you smell urine or see soiled clothing and bed sheets, it is an indication that your loved one is not being looked after. Another alarming sign of this form of mistreatment is receiving a report that your loved one has wandered off. This often happens with persons who suffer from dementia. If your loved one was found outside of the nursing home in a state of confusion and terror, it is a sign that they are being neglected. You should hire a nursing home negligence attorney to investigate the matter and bring suit if necessary. 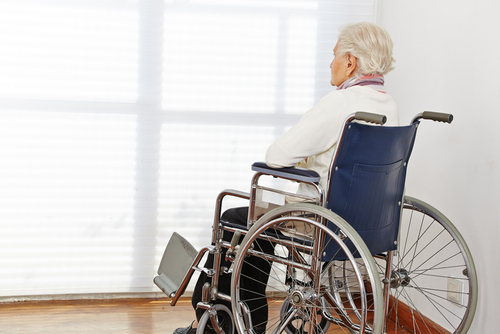 You want to hire an attorney who is known to fight for victims of nursing home abuse. Alonso Krangle LLP is an elder abuse fighter who will get your elderly loved one the care and compensation they deserve.